Bumble bees, honey bees, wasps and hornets: what do they all have in common? They sting! Almost all of us have a story about a painful summer sting, but not many people know how to properly care for their skin after the fact. Generally speaking, stings cause irritation, pain, and itching. These symptoms will typically go away within a few days to a few weeks if the area isn’t irritated further. However, a small but significant portion of the population suffers from severe allergic reactions to stinging insect venom. For these people, an insect sting may lead to swelling of the throat, trouble breathing, hives, nausea, and anaphylaxis. If you experience these symptoms, it’s important to contact a medical professional immediately. For most of us, the following home remedies can make the healing process go faster and ease the symptoms of a sting significantly. Don’t let hornets, yellowjackets, and other stinging pests ruin your chance to have a good summer! Keep reading to learn more about home remedies for insect stings. Using ice on an insect sting will reduce blood flow to the affected area, helping to dull the pain. This method has the added benefit of cooling you down on a hot summer day. Grab an ice pack, a bag of frozen peas, or an ice cube form the freezer. Next, wrap the object in a napkin or thin towel and hold it on the sting for approximately 20 minutes. 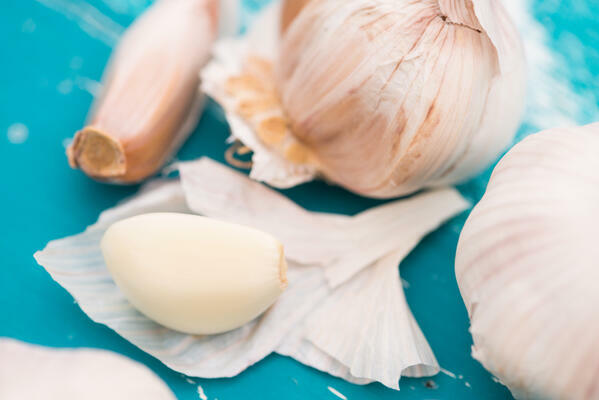 Try crushing up a clove of garlic and applying the paste to your irritated skin. This method is most effective if you place a bandage over the paste to keep it in place. The longer you leave it on, the more it may help. Sometimes the best remedies are the simplest ones. Simply cut an onion in half and hold the flat side against your sting. The onion’s natural healing properties may reduce the pain of the sting. You can concoct a healing baking soda paste by placing the powder in a bowl, slowly adding water, and mixing until it reaches the consistency of toothpaste. Spread the paste onto your sting and cover with a bandage. Re-apply the homemade paste as often as you need. Salt can be soothing for the skin. You can make a healing salt paste using the same method that you would with baking soda. Alternatively, take a soak in the ocean! The ocean’s concentration isn’t as high, but may have a similarly calming effect on your irritated insect sting. After a run-in with a stinging pest, you can try using the juice from a lemon or a lime to soothe the area. Dip a cotton ball in the citrus juice, then apply the cotton ball to your skin. Known as a healthy condiment and a DIY beauty product, apple cider vinegar is also a favorite healing remedy for some. The acid in the vinegar neutralizes the insect sting, which leads to reduced pain. All you have to do is find a cloth or a cotton ball and soak it in vinegar. Dab the vinegar onto your bite, and repeat as often as possible. ACV isn’t the only vinegar that you can use to help your sting heal. Try white vinegar if you have it on hand. Use a cotton ball or a cloth to dab the vinegar onto your skin, and repeat the process after it’s dried. Honey may speed up healing, and is also known to reduce itching and pain. Find a natural honey and apply a small amount onto your sting. To keep the spot from getting too messy, simply cover it with a bandage or band-aid and continue on with your day. For ages, people have used plants for healing purposes. Essential oils extracted from plants can help with the discomfort of insect stings. At the store, look for products that contain lavender, calendula, tea tree oil, aloe vera, or witch hazel. All of these plants contain compounds that can help soothe a sting. If you have an aloe vera plant in your home, you can use the gel inside of one of its leaves to help calm the irritation of a sting. Simply break the leaf off of the plant and squeeze the gel onto your sting. Calendula requires some processing, so it’s best to buy a cream that already has calendula in it. Witch hazel purchased at the store can be applied directly to your sting. Lavender and tea tree can both be used in their essential oil form, but they should be mixed into a carrier oil first, such as coconut oil or shea butter. There are plenty of ways to soothe and cool the burning sensation of a bee or wasp sting. Before you rely too heavily on these methods, however, always make sure that you aren’t suffering from allergic symptoms such as nausea, swelling of the mouth or throat, trouble breathing, or hives. If these symptoms occur, contact a medical professional right away. The best way to cure a sting is to make sure that it doesn’t happen in the first place! Work with a professional pest control specialist to keep stinging insects out of your yard and away from your home. At Home Pest Control, we use environmentally pest control methods that are safe for you and your family.